Opinion: Bertling convictions another notch on the SFO bedpost. Sentencing will provide a sibling to guilty plea disposal. “F.H. 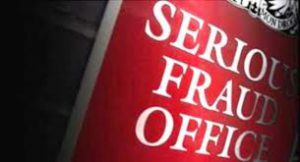 Bertling Ltd and six current and former employees have been convicted of conspiracy to make corrupt payments to an agent of the Angolan state oil company, Sonangol, in relation to F.H. Bertling’s freight forwarding business in Angola and a contract worth approximately $20m. One defendant was acquitted of the charges. On 1 September 2016, Jose Morreale (62) and Stephen Emler (49) pleaded guilty to the charges. On 17 March 2017, Joerg Blumberg (71), Ralf Petersen (now deceased), Dirk Juergensen (46) and Marc Schweiger (47) pleaded guilty. On 1 August 2017, F.H. Bertling Ltd pleaded guilty. The investigation has a couple of noteworthy features. First, the case was brought under pre-Bribery Act law. With no statute of limitations in the UK it is likely that cases involving the old law (with all its challenges) will be with us for some time to come. Second, between September 2016 and August 2017 a number of individuals and the corporate (August 2017) pleaded guilty in advance of the trial. One individual went to trial and was acquitted on 21 September 2017. The case has not yet given birth to its most likely legal import. As in the Sweett case (which we have previously reported on here and elsewhere) Bertling pleaded guilty. We await the corporate sentencing to hear the court imposed penalty so that a relative comparison can be made to those Deferred Prosecution Agreements negotiated to date. We hope that when sentencing the court take the opportunity to set out clearly the basis of sentence in this case and more broadly and place into sharp relief the benefits of entering into a DPA. Hopefully we won’t have to wait 9 months!